Disney will launch its streaming service in the US on November 12th. Monthly subscription fee is $6.99, which can be considered a challenge to established streaming giants such as Netflix or Amazon Prime, both of which are more expensive. You will also be able to buy an annual subscription for $69.99, or $5.83 per month. What you will get for the $6.99 (or $69.99 for 12 months) are several new and exclusive series, we already know about The Mandalorian and the new season of The Clone Wars, the Cassian Andor series will follow at a later date, however one new detail was announced by Kathleen Kennedy, Alan Tudyk will reprise his role as K-2SO, which will certainly please fans. A brand new MCU series titled Falcon and The Winter Soldier was announced, the original MCU actors will both be in it, there will also be another series centered around Scarlet Witch and The Vision, titled WandaVision, both Elizabeth Olsen and Paul Bettany will reprise their roles. A Loki series is in development as well, but nothing was said about it. And it doesn’t stop here with the MCU: an animated MCU series was announced with the title “What If?”, which appears to examine alternate scenarios for the MCU. Furthermore, The Simpsons will be exclusively available on Disney+ and Disney will of course release all of its new movies only on Disney+. Existing content may take a while to end up on Disney+, depending on when existing TV and streaming rights expire. Disney said that the entire MCU catalogue and all Star Wars movies will be on Disney+ within the first year. On launch date there will be 4 MCU movies exclusively available on Disney+, with the rest to follow in the coming months. The Star Wars TV and streaming rights still lie with other companies, but as soon as these expire – or Disney buys them back – the Star Wars movies, along with all the other content Disney will be streaming on Disney+, will disappear from other streaming platforms. So going forward your only source for Star Wars and the MCU will eventually be Disney+. On the non SciFi/superhero front, you will also get a brand new National Geographic travel series hosted by Jeff Goldblum, titled “The World According To Jeff Goldblum”. A Toy Story 4 spin-off series is in development as well. All the Pixar movies will be available on Disney+ on launch date. And finally, on top of all the new and exclusive content, Disney will also put about 5,000 episodes of various Disney Channel shows (Duck Tales was mentioned) and 100 original Disney Channel movies on Disney+. On the technical side of things it was revealed that Disney+ will support 4k and HDR at no extra cost on all supported devices (you have to pay extra for a Netflix 4K subscription). Also, you will be able to download everything to your tablet or smartphone and you can watch everything offline. 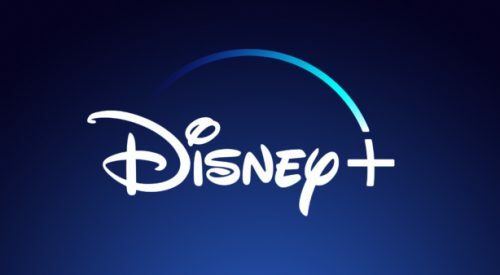 Disney+ will also be available on gaming consoles, Google Chromecast, Apple TV, Amazon Fire TV devices and internet browsers on computers. So you can basically stream Disney+ on any device you have in your home. Multiple profiles for family members are possible. It was not mentioned whether the 4K support means that all content will be available in 4K, i.e. native 4K or if it will be upscaled to 4K. I suppose that native 4K is not possible for older material, so it will at most be upscaled. There is a rumor floating around that Disney may want to release an all new 4K Star Wars box set in 2020 (probably including the Special Editions, not the original cuts). Disney also announced that they will launch Disney+ in other markets, the streaming service is expected to launch in Western Europe in late 2019 or the first quarter of 2020. Eastern Europe will follow a few months later. Rollout in Asian markets is expected for 2020 as well. Nothing is known about price in these other territories yet, but you can expect Disney to offer a much lower price than Netflix in Europe and elsewhere as well. All in all Disney+ has many things in store, with a lot more to come in the months after launch. I believe many Star Wars and Marvel fans will find it very difficult to refuse the offer. And $6.99 is of course a statement. Now, Disney will certainly raise prices eventually, but you can tell that Disney is trying their best to challenge Netflix & co and to shake up the streaming market. Also, Disney doesn’t need Disney+ to be profitable in the beginning, they do have an advantage over Netflix here. Eventually Disney will want to make money with Disney+, but first they want to gain as many subscribers as possible. And with Disney’s extensive back catalogue and dominance at the box office plus various exclusive series Disney’s plan to will probably work. Netflix and Amazon will have to deal with a serious competitor. Smaller streaming services such as CBS All Access will have an even harder time now, I suppose. So, what do you think? Is Disney+ something you will get? Next Article: LEGO Darth Vader Bust At TARGET Online!